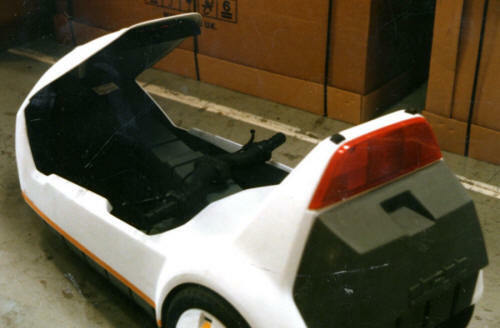 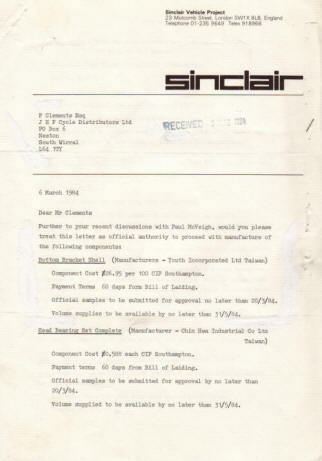 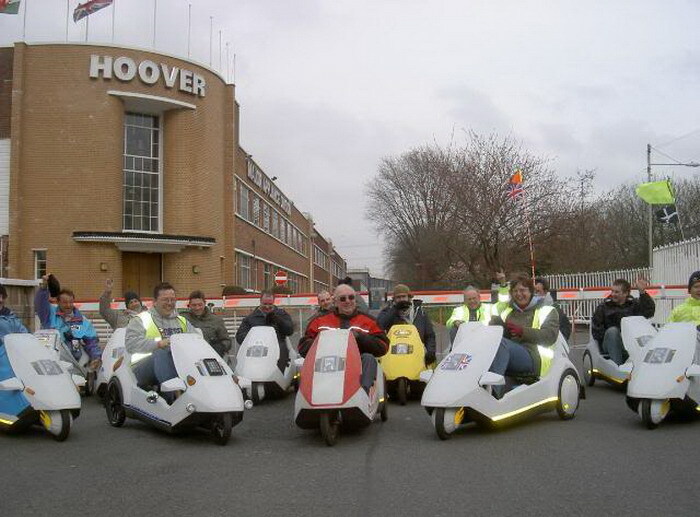 Sir Clive Sinclair's C5 Electric Vehicle was produced at Hoover Ltd Pentrebach, Merthyr Tydfil. 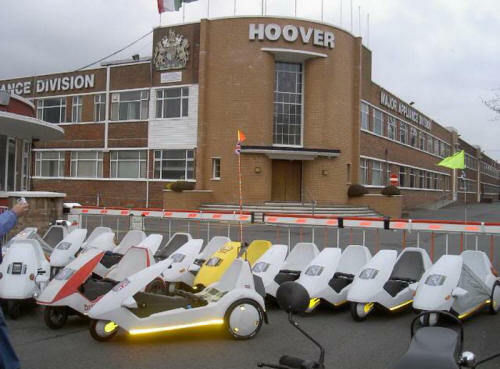 It used a Hoover washing machine motor as its 'power plant'. 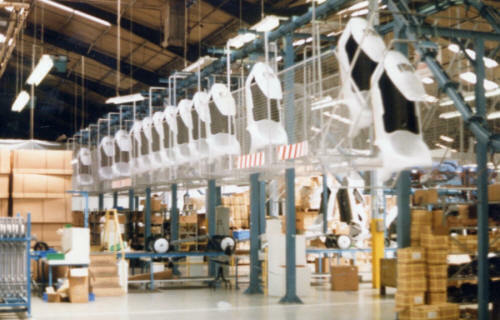 Hoover - Sinclair C5 Production Line. Completed Sinclair C5 - Under Test. 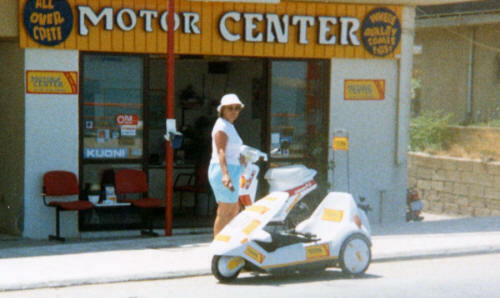 Paul McCarthy tests the new Sinclair C5. 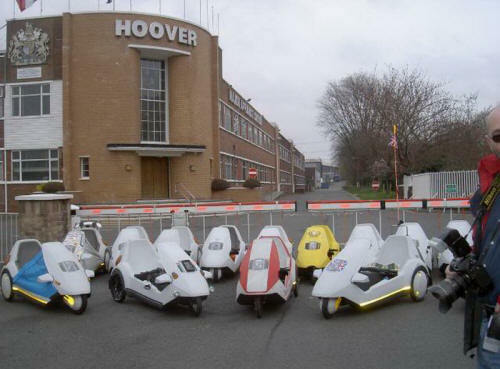 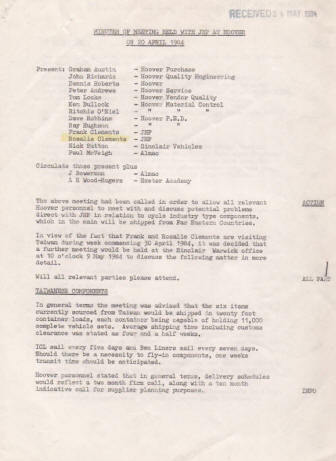 planned production of the Sinclair C5 at Hoover Merthyr Tydfil. 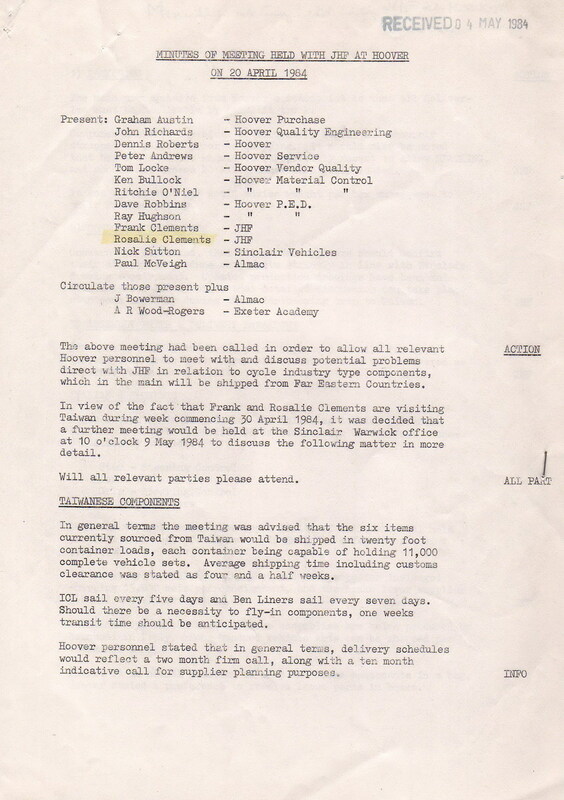 Meeting at the Hoover factory in Merthyr Tydfil. 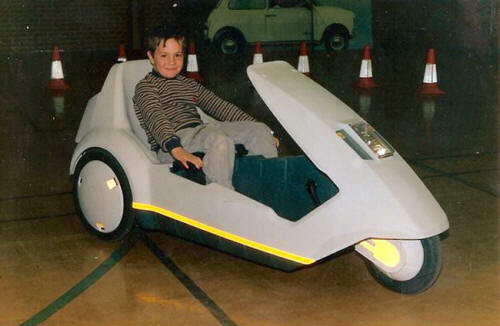 Do you have any photographs or information relating to the Sinclair C5 in Merthyr Tydfil?